Maybe you carve pumpkins with your family every year, but you have never thought about the history behind the tradition. Make this year the year that you make a tradition of researching the origins of this and other holiday traditions. By teaching your children how Holidays came to be and why we do the things we do at holidays, you will help them learn about history and enjoy the holidays more. Help your children to understand what is true and what is false when they hear about what it means to carve a pumpkin at Halloween. 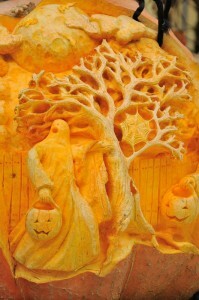 Whereas Halloween originated thousands of years ago, carving pumpkins is a relatively new tradition. The reason for this is that the pumpkin is a fruit (not a vegetableâ€”but that is another article) that is indigenous to the Americas. 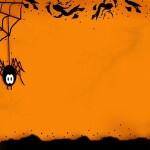 That means that in Western Europe where Halloween originated there were no pumpkins to carve. The first reference to carving pumpkins was made in a poem by John Greenleaf Whittier in the early 1800s. It is thought that the earliest pumpkin carvings were not associated with Halloween at all but were rather associated with the harvest. That little tidbit aside, the concept of pumpkin carving on Halloween likely originated with the ancient Celtics. They celebrated Samhain at the end of the summer, and it was quite similar to a New Year’Eve celebration: only the Celtics believed that the dead were able to walk the earth on that night. Part of the festivities associated with Samhain included building big bonfires to honor the gods. The whole village would attend the festival and then walk home after the fire had burned. Because they believed that the dead were walking the earth, it became traditional to dress in scary costumes and carry home an ember from the fire in a hollowed out vegetable. People would carve scary faces in the vegetables to further dissuade evil spirits. This is most likely the tradition that most directly led to the traditions that we now celebrate at Halloween. The pumpkins that we carve are analogous to the carved out gourds, turnips, and beets carried by the ancient Celts on Samhain. However, the name Jack o’ lantern has a different history entirely. The name Jack o’ lantern comes from an Irish tale about a drunk named Jack who played a trick on the devil. Jack tricked the devil out of his soul but found that he was still not welcome in heaven. Admitted to neither heaven nor hell, Jack roamed the earth, carrying a bit of coal to light his way. He carried the coal in a hollowed out gourd, know as Jack’lantern. Knowing the stories behind these and other Halloween traditions will be fun for your whole family. 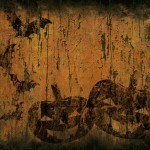 You can go to the Jackolanterns.net website and find out about the different Halloween traditions around the world. Look up the tradition associated with your country of origin. You will find that of the countries that carve vegetables or pumpkins for Halloween, some do it to welcome spirits of the dead, and some do it to scare away the spirits of the dead. You will also find other fun traditions that are enjoyed around the world. Learn what you can about one country’traditional celebration, and try to replicate it this Halloween. Holidays don’t just have to be fun times with too much candy. They can be educational experiences where we find out more about our own history and the traditions of those that share the world with us.